Hays Travel Ltd are once again proud supporters of Circus Starr for our 2018 Spring Tour. We are very proud to sponsor Circus Starr. 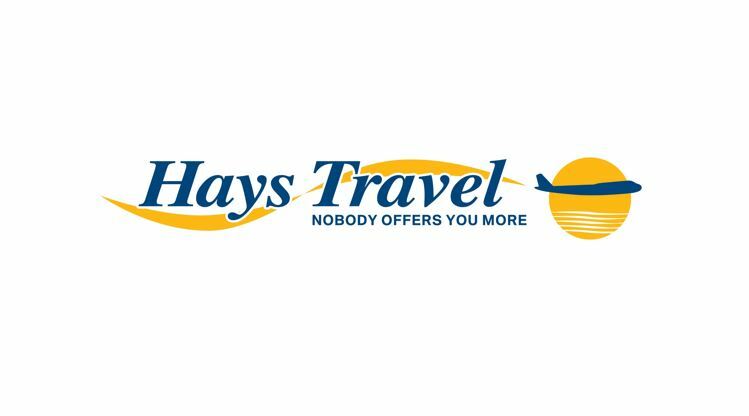 Hays Travel, the UK’s largest independent travel agent, was founded by managing director, John Hays, in County Durham in 1980. The company now has almost 150 branches nationwide and more than 1,000 members of staff. Our independence means we can give our customers a wide range of fully ABTA and ATOL protected holidays departing from air and sea ports across the UK. From all-inclusive, long-haul and beach getaways to luxury cruises, package deals and city breaks, we have a great-value deal to suit all budgets and tastes. Our branches also offer travel extras including transfers, insurance, airport parking, and foreign currency. · Been recognised as one of the Sunday Times’ 100 Best Companies to Work For in the UK due to achieving high employee satisfaction and motivation scores. · Received Gold Standard accreditation from Investors in People (IIP), which shows that we care about investing heavily in our people and achieving excellent results. · Retained the prestigious Gold Trusted Merchant status from Feefo. This independent consumer review provider allows customers to rate both the service they received and the quality of the product — 99% of our customers rated us good or excellent and would recommend us to family and friends! Great-value offers and outstanding customer service are at the heart of what we do and we pride ourselves on being a trusted business with many loyal customers who keep coming back to book their holidays.